1. 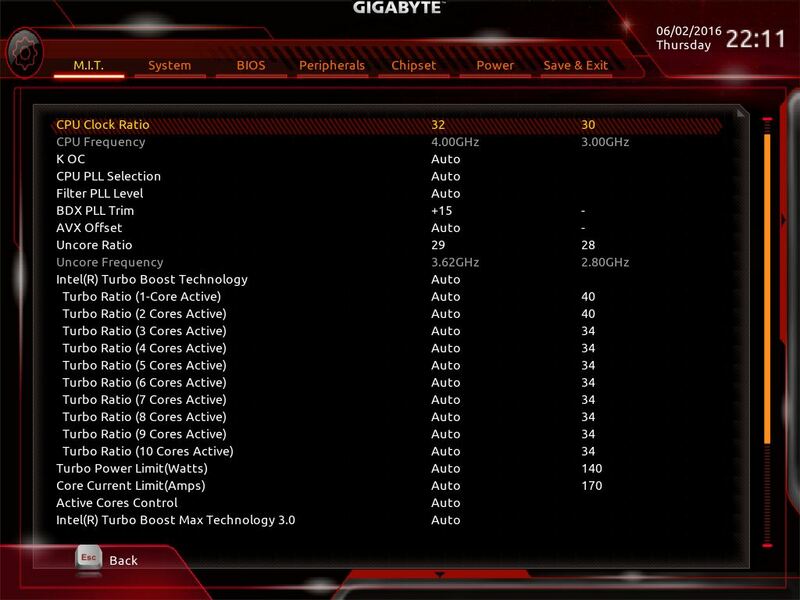 SINGLE BIOS mode: make sure you turn it ON (position 2). 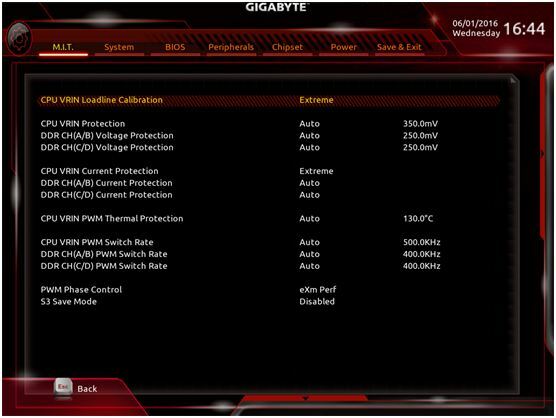 This switch will disable Dual bios mode in case it triggers a bios switch or update due to OC fail. 3. POWER DRAW: Our testing has shown that Broadwell-E draws less power than Haswell-E, despite the fact it has a higher amount of cores. This is welcome news as some PSUs were having problems with OCP shutdown as power draw exceeded the Amp draw limit on 12V rail. This may still be happening on PSUs of lesser quality or with aggressive OCP spec. We recommend discussing with peers what PSUs to use for extreme OC. 4. CB (Cold Bug) & CBB (Cold Boot Bug) changes: From our experience testing 6950X CPUs, we’ve seen very similar behaviour with CB and CBB overall. CB is generally between -95C and -110C. 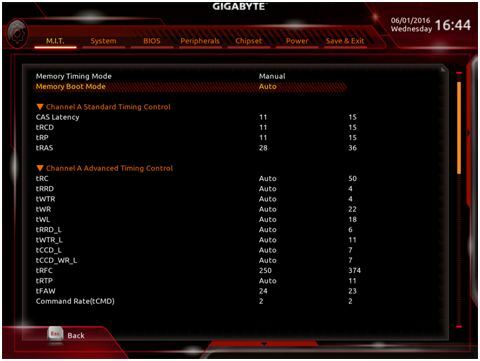 CBB is more CPU specific and can sometimes be same as CB but mostly ranges around -90C. 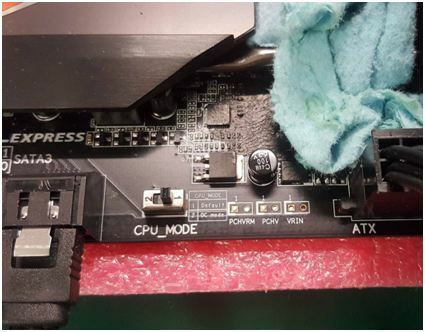 · Post Code “bF”: When you restart and you see post code “bF”, switch off PSU and let all power drain from board before switching PSU back on, start again. Most times it will boot straight back up and you are ready to go. However, you may see post code 91! 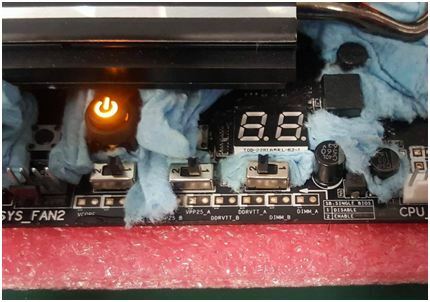 · Post Code “91”: Switch PSU off if you see this post code, let power drain from board (you will see power LED light turn off on board so there is no residual power in the board), switch PSU back on and hit start and go. Sometimes you may need to go warmer than your regular CBB (i.e from -90C to -80C) to avoid post code 91. · Post Code “BLANK”: This is generally CBB (no post code showing at all). Just turn off PSU, warm up below CBB temp (try -80C) and turn on. 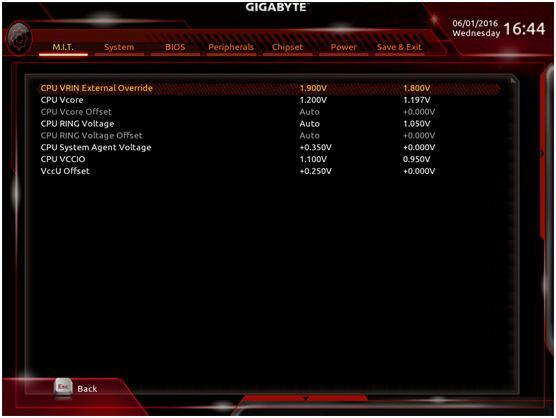 This is simply a guide and may not be the case with your CPU so it is advisable to test the limits of your chips specifically. 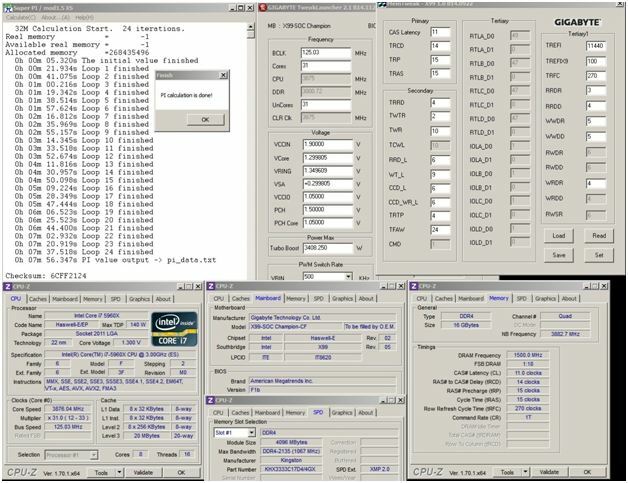 · Core Voltage: Air cooling 4GHz, you are looking at around 1.2vcore. We tested up to 1.35vcore with benchmarks such as XTU and found CPUs were mainly running below throttling temperature and frequency of up to 4.4GHz. LN2 cooling we find that it’s best to start with 1.5v at -60C and go colder. Most CPUs will like 1.55vcore with -80 to -110C. Some chips will scale higher with 1.6v-1.7v but majority we tested stop scaling up to 1.6vcore. 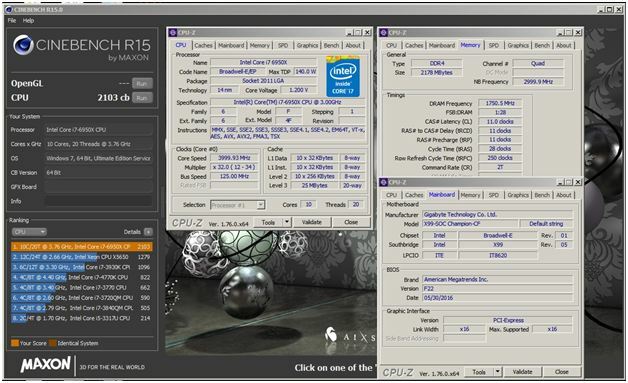 Majority of CPUs did 5GHz, great CPUs did 5.2GHz and special chips will go beyond 5.3GHz with Cinebench R15. This may change with new retail batches. VRIN is another voltage you need to use (up to 2V on air and generally 2.2v LN2). 2.6v can kill CPUs so be careful. PLL TRIM is the last one to look out for. Use +15. Improves OC performance and stability. LLC (load line calibration), set to Extreme (refer to screenshot below for full settings). 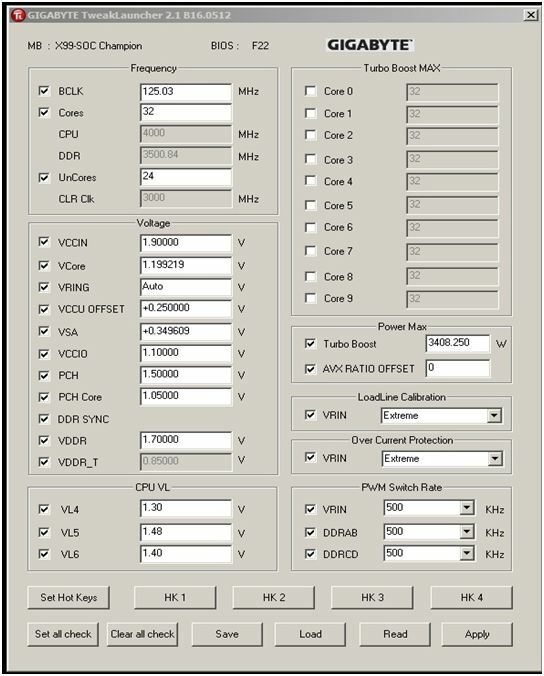 · Uncore Voltage: This voltage has changed compared to Haswell-E. There are two voltages that affect uncore/cache frequency. One is “VRING” and other is “VccU Offset”. Air testing showed that uncore will scale to 3.75GHz roughly using up to 1.40VRING and +0.25 VccU Offset. You don’t really need high VccU offset for air or LN2, +0.25 is generally enough for majority of CPUs. LN2 testing showed that uncore will scale to 4.6GHz roughly using a mix of voltage and correct temperature. In terms of voltage, we could see uncore scaling up to 1.6VRING and we use +0.25 VccU Offset. 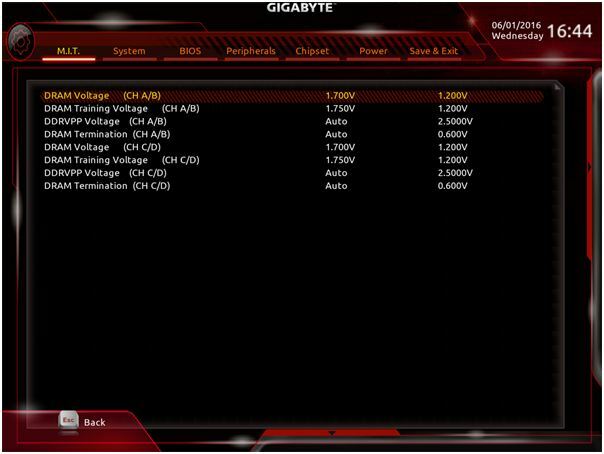 You can try higher voltages and see if it helps with your CPU. Temperature is very important with uncore. You must be cold enough to boot at very high uncore clocks (-80C or colder). 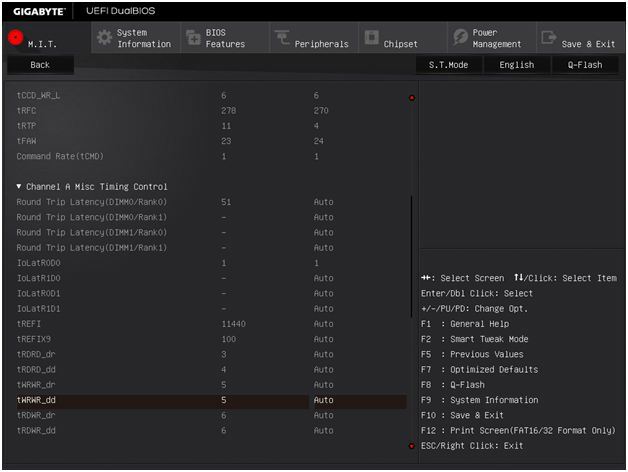 We recommend booting at lower uncore and using GTL to clock up core and uncore frequency in OS. Post Code tips: If you see the post code looping after restart and board suddenly shuts down, that usually means the uncore is too high for that boot which will either need colder temp or bios reset and reloading profile. You may see postcodes such as “b0”, “bF”, “b2” but it might be others as well. · Memory Voltage: We will specifically refer to B-die based memory ICs here as they have shown to be best for extreme OC. There are two different volts (VSA & memory volts) you need to use to clock memory well as well as memory voltage training. VSA voltage is generally recommended in +0.25 to +0.35v. Memory voltage we generally use 1.6v for 3000MHz 12-12-12-28. For 3400MHz and higher, we use 1.7-1.75v. CPU must be cold (use -80C or higher). · Voltage Limits: CPUs did not really scale past 1.7vcore. Uncore voltage did not really scale past 1.6v on most CPUs. Memory voltage we suggest keeping below 1.8. Offset voltage and VSA are not needed any higher than previously shown. These are extreme limits and you must find out what your CPU and memory like. If you use too high a volts, you will probably lose max MHz frequency. Best to find the ideal volts for your hardware! · Post Code “61”: Overtightening CPU pot can cause this post code. This can also be pure memory frequency or vdimm limitation. If a RAM slot is wet, it can also show 61. · Post Code “50”: System not detecting memory correctly due to dirt in dimm slot or not inserted properly. Tight timings limitation can also show this code. In the CPU Advanced Voltages when you have switched to the OC mode you will see some extra voltages. VL1 to VL6. You only have to change VL4, VL5 and VL6 as below. The voltage you have to change to get higher uncore is mostly the VL6. Almost all the CPUs can do 1.45V, most of the CPUs can do 1.5V but some CPUs can do even higher Voltage. There are few CPUs that boot with lower than 1.45V though. 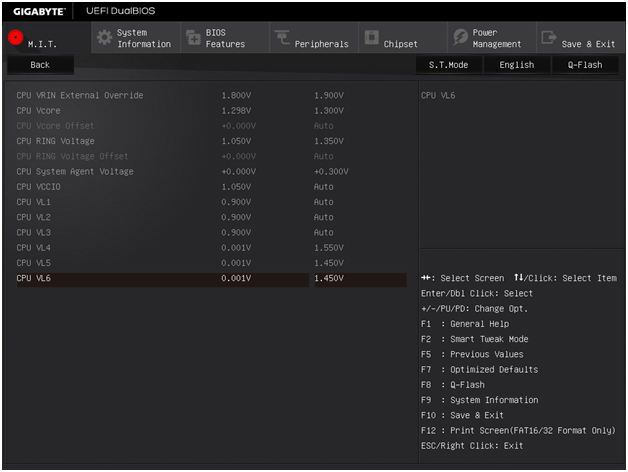 If the CPU can do high VL6 then probably it can do and high Uncore but not all the times. It depends on the CPU. In the OS through GTL all you have to do is to raise the VRING to 1.45V-1.5V in able to get high Uncore. You can change the RTLs but not manually only changing the IOLs manually. IOLs to 1 will bring the RTLs all the way down to what the board is capable of until now. You need to change the IOLs at every channel. Set the option at manual mode and change the primary and secondary timings only for channel A and then change the IOLs to each channel manually. 13. Use both 8pin and 4pin cables for CPU Power otherwise with heavy load the system maybe will be shutting down. 14. You don’t need extremely high VSA and VDIMM. VSA between +0.25-0.35V should be enough to drive the mems high. +0.25-+0.3V should max your mems on most cases. VDIMM 1.55-1.65V is ok. I was able to do even C11 with 1.6V. 15. Few times you will see codes like 72, 74, 50, 51, 60, 8A. Try to press the reset button few times. There’re times that doing it it passes the training. Especially when you change the RTLs and you get 8A try it for sure. It doesn’t happen on latest bios so often. Highest bootable VL6 cannot be overridden through software. Same value that your CPU won’t boot from bios if you set it through software it will shut down. 17. Please be careful! The VLs can affect your CPU cold bug so make sure that when you change you don’t hit the cold bug earlier than before. If you have this problem try higher or lower VL3 (usually higher helps). If VL3 doesn’t fix your problem then try the same for VL6. Also, different bclk affects the cold bug too, so try this as well. Almost all the CPUs are ok with 127.5 bclk and PCI3. 18. Make sure that you’re using proper insulation around the memories area and also put some paper towel around the PCH cooler. The way that worked best for us was a layer of plastidip, then a layer of Vaseline and paper towel. 19. Always save a profile before you save and exit cause most of the times the only way to go back is the CMOS button. 20. For memory voltage we used up to 1.9V on single sided dimms on LN2 without a problem. But it doesn’t mean that all the dimms can handle it so be careful in case you don’t want to degrade or kill your memories. Dino was benching with 1.8V without any issue.